Tea parties are my favorite! So I was really excited when I got invite to the launch of a major collaboration between my favorite Polyore-ish yet all Pinoy style site Miss Match, Postura and of course Moonleaf. 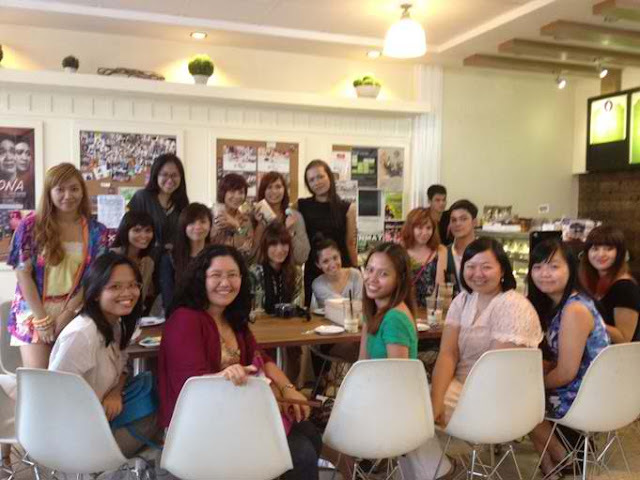 :) It was held at Moonleaf, Maginhawa:) Photos starting with my outfit! You've seen my duo outfit shots with Ana and Kelly. Now naman with Jonver! thanks Arnie for the pics! We were asked to wear Pinoy made pieces, so I decided to wear my top from Wardrobe Check and my new blazer from Binkydoodles! Love how these 2 printed pieces match when worn together. I really didn't want to wear shorts coz my atopic dermatitis is acting up again (and it's strategically positioned at the back of my legs, arrgh) but it was super hot that day. Anyway, back to the event! Arriane Serafico talking about the successful Postura Project! love love love this photo!!! Mother Thysz giving us a background on how Filipino tea place Moonleaf started and blossomed into 30 branches! Miss Match's Chinggay Labrador announcing the launch of the site's new development, Style Gallery! 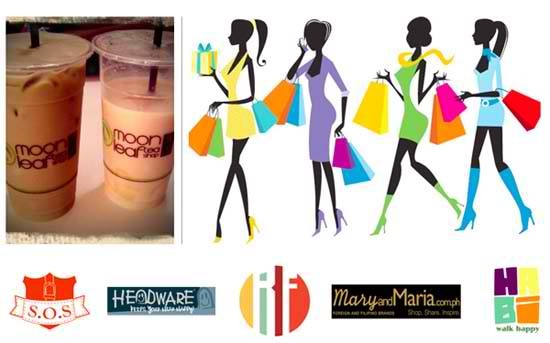 So basically the Fashionali-tea Campaign is a contest where you have to take a photo of yourself wearing Pinoy pieces + a Moonleaf drink on hand then upload it on Miss Match's style gallery, post it on twitter and facebook! :) Complete MECHANICS here. See my sample HERE! Win prizes from SOS, Headware, Remegade Fold, Mary and Maria and HIBI! They they called on some Postura Project brand partners to talk about their products and their business:) First up, School of Satchel! Help local industries by patronizing Pinoy made products! Owners of shoe brand Renegade Folk told us how they came up with the brand! What's a tea party without mini games? At bilang bibo ako vinolunteer ako ni Thysz. Lol. So we played a Pinoy henyo game. Alyssa and I paired up and switched roles at the last minute. Asked her to to do the guessing coz I easily gets mental blocked! Macarons by Alchemy! love the blue one! serious Arnie and hi Lana! me taking their photo, Miss Match took a photo of me taking their photo! Labo ba haha. Labyu tey!! :) Thank you haaa, had fun with this tea party! ♥ Ganda talaga ni Binkydoodles blazer. Ahhh! !